The UK Ghost Hunts team will be breaking new ground this November and they want you to join them. The November 22nd Endcliffe Hall ghost hunt in Sheffield promises to be a paranormal evening out like no other. For starters, Endcliffe Hall has never been open to investigators until this year, and UK Ghost Hunts have exclusive access. While your standard ghost hunt or ghost tour involves following tried and tested tourist routes – leading to a fun, enlightening, but ultimately sanitized experience – this investigation will be straying into virgin territory, and anything could happen! The Italianate hall on Endcliffe Vale Road in Sheffield has a history that can be traced back to the 14th Century. The existing building was constructed in the 19th Century for local industrialist John Brown, famous for laying down the foundations for Sheffield's status as the UK's steel capital. 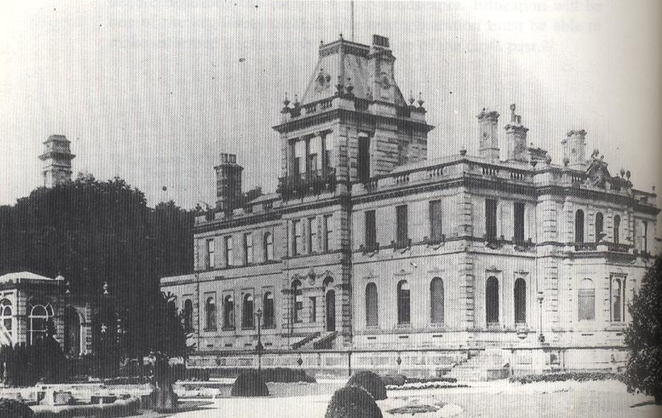 The 36 room mansion is still the largest private residence ever built in the city. Nowadays, Endcliffe Hall is owned by the Ministry of Defence, which perhaps goes some way to explain why ghost hunting teams have struggled to gain access. But Nottingham-based phantom finders, UK Ghost Hunts, has managed it, scooping exclusive rights to investigate one of Sheffield's most iconic buildings. Want to join them? The hunt runs from 9pm on the evening of the 22nd to 2am the following morning. Tickets cost £30, payable via a £15 advance deposit with the balance payable on the night. Happy hunting!